For once let us not get into this subjective and yet a futile debate on whether La Liga is better than the Premier League and vice-versa. Why can’t we be happy with the notion that both are great leagues in their own right and have enriched the beautiful game in various manners. Each league has its own strong characteristics and likewise certain drawbacks. 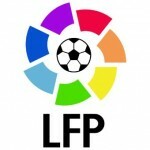 Premier League, widely seen as one of the best in the world, is of no exception to that rule but there are lot to be learned from other top leagues, especially from La Liga. And short of watching the game live – you can buy La Liga tickets here if you’re visiting Spain anytime soon – you can learn a lot just by watching the games on TV and learning more about their footballing approach and culture. In England, the football played is more physical and less technical. In the 20th century, the social and economic significance of football in England had grown and the game was mediated as an extension of social structure and values. The working class people playing the game became a stereotype of what football was commonly perceived in England – the phrase “the bull dog spirit” became symbol par excellence of the English and epitomises the patriotic, hard working and battling English people. England never came out of this stereotype even when football have gone through massive evolution in entire Europe. Pre-match build ups are all about passion, history and intensity. Managers hardly speak about the tactical side of the game. Brendan Rodgers was criticised in his early days as a Liverpool manager when he used to speak a lot about his footballing vision. He was mocked instead of being celebrated for bringing something new. In Spain, pre-match preparations are about focussing on passing and building team chemistry. As compared to high tempo football with preference to long clearances, Spanish counterparts lay more focus on short and incisive passing, enabling their players to be technically more versatile. Developing the youth system is key to the foundation of any football club and the league in general. Leaving aside the exceptions (Southampton, West Ham) Premier League clubs focus more on bringing off shore talents. While it may bring immediate success to the team (Chelsea, Manchester City), in the long run, the league and the country is not benefitted. Chelsea have some of the best scouts/coaches in the world and the Londoners do recruit top young players as well, but how many of those have gone one to represent the first team in recent years? It is all about having a vision. A long term project. Hunter notes : When Spain lined up to face Italy in the final of Euro 2012 they looked like this: Casillas; Arbeloa, Piqué, Ramos, Alba; Xavi, Busquets, Alonso; Silva, Fábregas, Iniesta. Those 11 players had amassed a remarkable 332 youth appearances for Spain. David Silva, the first scorer against Italy, led the group with 54 caps; Fábregas, who provided the assist, 38. 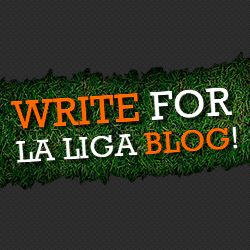 The lowest totals were Busquets (3), Arbeloa (7) and Alonso (10). It all happened due to meticulous planning and proper coaching. If Germany can replicate it, why not England? Reds manager Rodgers once said dull coaches are holding back English players and that a change is philosophy is needed. “I’ve thought for years that this country produces players as good as those from anywhere else in the world,” the Liverpool manager said, via Guardian. “But often you find they have been told they are not technically good enough or taught not to pass the ball in certain situations. I always remember Chris Waddle being told he didn’t work hard enough when he played in this country, then as soon as he moved to Marseille he was considered world-class. When Liverpool were struggling under Rodgers’ first season in charge, such comments were made fun of, but within two seasons, he has proved what proper coaching (the burgeoning rise of Raheem Sterling & Philippe Coutinho) can do to talented players. If you are technically strong enough, you’re good enough to be considered as world class. For a nation that gave birth to this beautiful game can sometimes be so stubborn to change is unthinkable. Managers like Steve Bruce, Tony Pulis, Alan Pardew, Mark Hughes, Harry Redknapp et al, keeps rotating to the mid-table clubs adding no value what-so-ever to the league. There is an inclination of managers and clubs to remain within their comfort zones. For example, despite winning just one trophy in 32 years, several midtable clubs are ready to appoint Harry Redknapp instead of going ahead and get someone with a far better philosophy and application, say Unai Emery? It’s not like bringing foreign managers would help, it is all about taking risks and experiment with newer ideas – thing big and act bigger. Swansea took the risk with Martinez, Rodgers, Laudrup et al (young and forward thinking managers) and they have brought a breath of life to this league. Southampton is another similar example that have taken risks with forward thinking managers like Pochettino and Koeman. Since, old school type managers are managing Premier League clubs on a cyclical basis, there is a dearth of progressive football amongst the mid table Premier League clubs. It might not always be rewarding, but it is time for Premier League clubs to take that extra bit of risk and get the young and hungry managers out there in the rest of Europe/South America. Putting your money on pensioners can only get you so far. If we look at Spain, emphasis is always given on forward thinking managers who dare to experiment every now and then. Atletico Madrid giving Diego Simeone the opportunity to manage the club, Real Sociedad signing David Moyes, Nuno Santo working wonders at Valencia, and Villarreal taking risks with Marcelino Toral are burning examples that confirms the above claim. Its not like Premier League clubs have never taken risks. Fulham did with Magath, which never paid off. But then there is Swansea and Southampton, who have done extremely well with their progressive thinking over the last few years. Now we move into more controversial and grey areas of this topic. Football in winter is an English tradition and it has been going on for time immemorial. Football, a popular sport, is inextricably linked with the culture and tradition of any country. Therefore, it is not easy to get this system abandoned all of a sudden. Having said that, sometimes football let you think off the hook as well. Already England host an extra cup competition compared to other major leagues, would it have done any harm had there been a week off during the festive period? And it is not like having to play one or two matches during those period – sometimes it can end up five or six games within 15 days! Teams with smaller squad struggle in the second half of the season and it leaves a bad impact on the fitness levels as well. “Five games in a couple of weeks [as in England] is immense, especially for your body’s energy levels. The quality of football drops in this period because everybody is struggling to keep proper fitness. Specialists generally think that high-performance sportsmen need at least 72 hours to recover, one can imagine how stressful it can be for a footballer during the festive period! A winter break would help English team to be more competitive in European competitions that brings to the final point. This is a natural consequence of not having quality mid table club managers and lack of winter-break (to a certain extent) English clubs generally tend to under perform in European competitions – both in the Champions League and in Europa League. Since 2000, only five European trophies have been won by the Premier League clubs, compared to 12 by their Spanish counterparts. One reason could be, Premier League clubs that drop out from Champions League group stages, do not take the Europa League seriously, or the 5-7th Premier League clubs are simply not good enough as compared to their European counter parts.